Avatar description: I am a small, very normal talking river otter. No wings, no magic powers, no shooting lightning out of my...er... eyes. Musical style: I try not to confine myself to a single style, though most of what I do can be considered tribal. 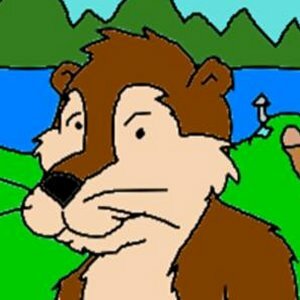 Accomplishments: I run the OtterTunes radio station, as well as the OtterTunes 2 archive, both of which are meant to showcase independant artists. I compose music purely for fun. Equipment: I use Noteworthy Composer to write and play most of my music, then convert it to MP3 using Wavepad, where I sometimes add vocals and additional instruments. Such additional instruments tend to be homemade. Favorites: My current favorite artist(s) is Animusic. But I like anything as long as it's good. My tastes are very eclectic. Items of interest: I'm known for my distinctive "alternative percussion" style. However, I only developed the style because I didn't know how to get noteworthy to play drums.